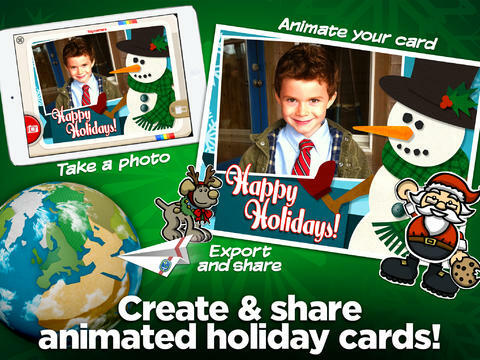 Kids can create and share holiday greetings with two new features released today: Toy Camera Cards and Winter Playsets. Parents and teachers love Toontastic and kids can’t stop creating! Named by the NY Times as one of Top Ten iPad apps of 2011, Toontastic is a fabulously creative FREE app for kids. This educational app allows kids to draw, animate and share their own cartoons AND at the same time, it teaches them the elements of a story – an extra added educational bonus. 🙂 Kids are able to use backgrounds and characters from the app or create their own with the drawing tools that are provided. The basic app is FREE with several in-app purchases available. Final creations can be shared online via ToonTube, Toontastic’s global storytelling network. Over 7 million cartoons have been created in over 200 countries. Unleash your child’s creativity with this great app!! Here is a link to more information: Toontastic: Play, Create, Learn on the iPad!. Not only are the possibilities for using this app are endless but a child’s work can be shared with parents, grandparents, other classes, etc.